The elliptical provides a diverse, low-impact workout. Elliptical machines and treadmills have been found to be the most popular pieces of home exercise equipment, according to a 2011 "Consumer Reports" survey. The reason is clear -- the elliptical provides a low-impact workout and can be used to simulate walking, running or stepping. 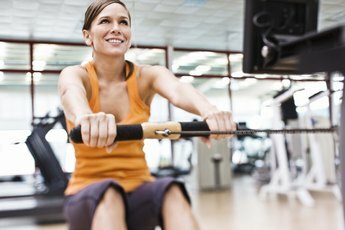 Maximize the time you spend on the elliptical by finding the right balance between incline and resistance so you can build your endurance and burn calories faster. Increasing resistance on the elliptical results in increased oxygen uptake, heart rate and exertion, as cited in a 2006 study published in "Research Quarterly for Exercise and Sport." Increasing your resistance will provide a harder workout, causing you to burn more calories and build cardiovascular strength. High resistance workouts can also be more difficult, so make sure the resistance isn't so high you have trouble working out for more than a few minutes -- even a high-intensity cardio workout should be at least 15 to 20 minutes long to garner health benefits. 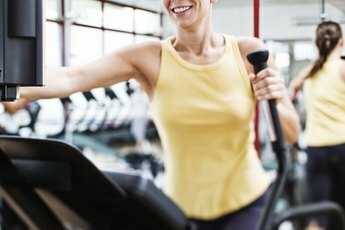 Certain elliptical machines will allow you to adjust the incline of the machine so you can get a more intense workout without increasing your speed or resistance. Increasing the incline will enable you to burn calories faster than if you walked at the same pace with a lower incline. Walking on the elliptical at a speed of 3 mph with a 12 percent incline has been shown to raise the heart rate by the same amount as running on the elliptical at 6 mph with no incline, according to a FreeMotion Fitness study published in 2008. Don't just set the machine on a high resistance or incline and leave it there — try varying the settings for interval training. After completing your warm-up, use the machine for about 30 seconds at a very high resistance or incline and exercise at 100 percent effort. Then drop the machine to a lower resistance or incline, running at about 60 percent effort, for one or two minutes. For your second burst of interval training, try increasing the high-intensity training to one or two minutes, followed by two or three minutes at a lower intensity. Aim for between three and five cycles of interval training, depending on your fitness level, to help you burn more calories and increase your aerobic capacity. Begin your workout with a few minutes on a low resistance and incline to loosen up your muscles. Make sure to stretch before and after using the elliptical and drink plenty of water before, during and after your workout. 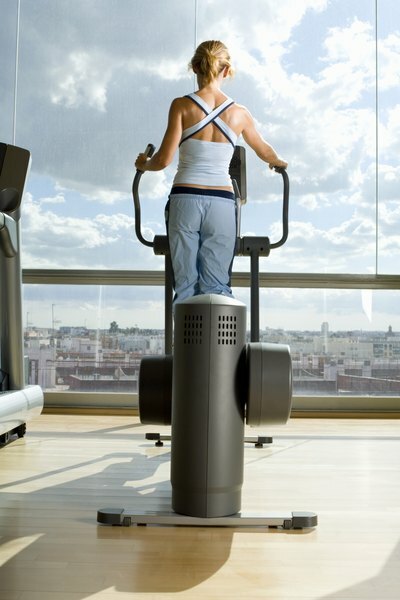 Using the elliptical at a high resistance or incline may not be right for you if you have certain health conditions. Speak to your physician before modifying your workout routine, especially if you are pregnant, have back or joint problems or have a heart condition. 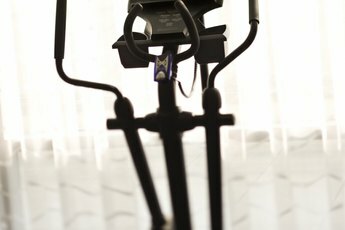 Is It Better to Use More or Less Resistance on the Elliptical to Lose Weight?